Have you read or been taught much about the semi-sextile? I’m guessing that you haven’t—in most astrology writings, it tends to get shrugged off as a minor aspect after a half-hearted sentence or two of description. It’s a 30° aspect, plus or minus 2-3°. For instance, a planet in Aries may form a semi-sextile to a planet at approximately the same degree of either of the two adjacent signs, Pisces or Taurus. The Outerplanetary People Series was written for people with close aspects to personal planets from the outer planets. I call us PUNCs for Plutonian, Uranian, Neptunian Chironics. Author's Note: This is an update of a five-part series originally published in the 1990s in Mark Lerner's astrology magazine, Welcome to Planet Earth. The Outerplanetary (OPP) People series has been a timeless favorite ever since. In Part 1, we explored the unique role of evolutionary pioneers—people who have the outer planets prominent. We started with Chiron, the “bridge” between the inner and outer planets; now we’ll stop to explore Uranus. With Neptune, a boundary is always the point — knowing when something is too much or when have we gone too far. It's the point, beyond which we ruin our effectiveness to help others and ourselves. Includes tips for activating positive Neptune. Pluto asks more of Outerplanetary People than any of the trans-Saturnians. He asks to let go and trust while everything we value is ripped away from us, often down to the barest bones: home, hearth, spouse or lover, job, family. What good is all this loss? Find out. The importance of Chiron to outerplanetary people can hardly be overstated. Chiron is the thread that weaves together the tapestry of the outer planets as a living aggregate in our charts. Chiron is the glue that makes outerplanetary people solid and capable of handling the strong energies that they are asked to bring down to Earth day by day—first for ourselves, then for others. Announcing the Outerplanetary People eBook. Want an even more up-to-date version of the Outerplanetary People series? One you can print out easily, make notes on and maintain in your computer or device for easy reference? Purchase the PDF eBook version here for $9.99 or in the sidebar. See link above for details. These posts refer to what I call a series of big change transits in recent years. Whadda ya say we all lighten up a little on the Big Change Transits? For years, I’ve written that the discovery of Chiron in 1977 heralded a new species. I call our new evolutionary line homo improvement. I don’t think anyone would argue that we could use a new and improved human race, considering the havoc wreaked by the people in the really “off”-shoot species, homo asinine. You know, the Missing Their Link. The folks who destroy their home, wage bloody wars in the name of the divine, and collapse an entire global economic system out of personal greed. What supercharged change feels like. At UAC 2012, Aleksandar Imsiragic said that the seven exact hits of Uranus square Pluto, the first on June 24, correspond to realignment of our seven chakras. I deeply resonate to this idea, and it seems too important a concept not to share. Planets in square create a tension of initial incompatibility that nags to be worked out in some way to bring a workable energetic mix to the person or situation it represents. Better said, squares evoke creative tension. It takes creativity—the God stuff, if you will—to find your way out of the standoff. When the squares make a Grand Cross, you have to find your way out of an enclosed box. Whew! The first two articles of the year on the Radical Virgo speak to the winter retrogrades and how they help prepare us for the spring Cardinal Grand Cross. In capsule, the winter retrogrades are for reviewing relationships, desires and direction. We're heading toward a Cardinal Grand Cross. Winter 2014 asks us to pause and reconsider what's important to us—what's working and what's not in our personal lives. Spring 2014 emboldens us to take action in an even bigger way than the usual Aries charge into the natural New Year, as the sap rises in the trees rises and human energy starts picking up with it. Electional astrology is the art of timing, and its purpose is to give you the advantage by selecting the most appropriate time to achieve a successful outcome. The date and time selected are intended to strengthen the planets and the houses associated with the subject of the election. 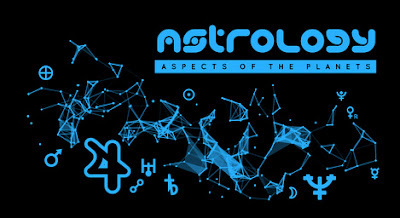 The Moon carries the most weight in electional astrology. She should always be strong, free from difficult aspects, and favorably aligned with the planets ruling the election matter.